When you come to The Cosmedic Room you can be assured of one thing and that is that you will be seen by a registered medical doctor. Dr Peter K Horvath will be the person who will consult with you and performs the treatment you are having. When you call a practice to make an appointment, whether for anti-wrinkle injections, dermal fillers, laser treatments or tattoo removal, we encourage you to ask the question, "Who will perform my treatment? Will it be the doctor whose name is on the practice?". At The Cosmedic Room the answer will be, "Dr Peter Horvath will perform your treatment". Dr Peter K Horvath with the PicoSure. 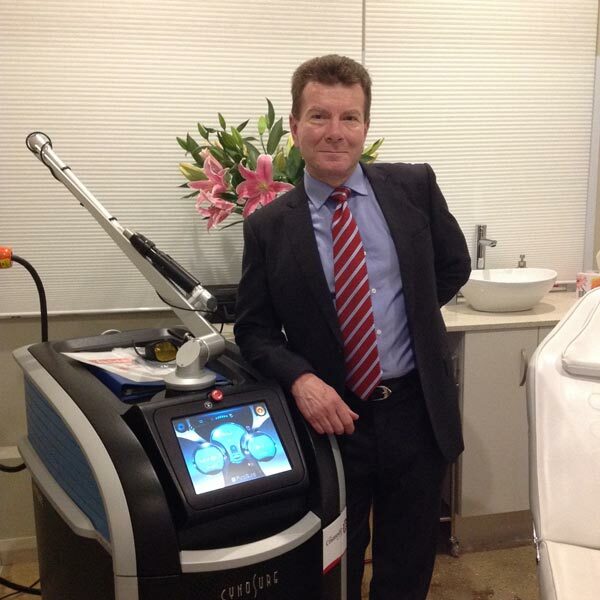 Dr Peter K Horvath using the PicoSure for laser tattoo removal at the Cosmedic Room.